In 2018 The prodigiously-gifted Susan O’Neill and best known as the beautiful husky-voiced backing singer with acclaimed Irish acts King Kong Company and Propeller Palms launched debut album Found Myself Lost. She’s going by the name of SON… and Bono is already a fan. Susan released her bluesy debut album, Found Myself Lost, in the second half of 2017 showcasing her truly phenomenal husky voice, “often reminiscent of Amy Winehouse, Janis Joplin or a ballsier Adele” according to Hotpress. 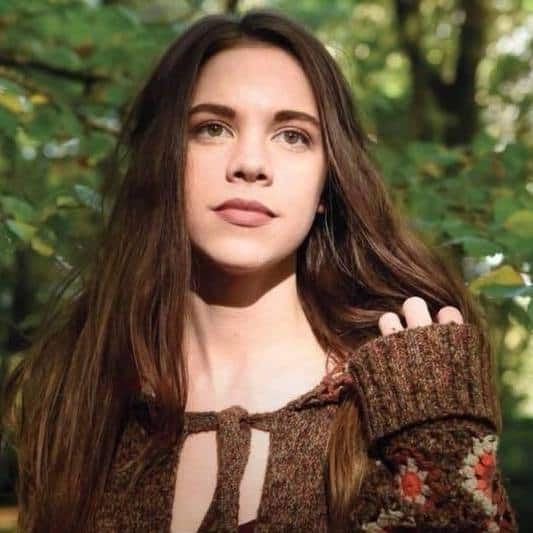 This Irish songstress has indeed been inspired by an eclectic range of influences, including KT Tunstal, Stevie Nicks, Norah Jones, Simon and Garfunkel and numerous Irish folk legends. Susan has summed up her younger years in an energetic debut that focuses on the passage of time. “Found Myself Lost is as a collection of songs I wrote over the space of eight years,” she explains. “It’s really the story of a female going through adolescence and reaching adulthood. Susan entered January and February of 2018 touring with the legendary Sharon Shannon on her full tour of Ireland. March takes Susan further afield on her first Australian tour where you can find the multi instrumentalist spreading her songs at the National Folk Festival Canberra, the Blue Mountains Folk Festival and St Patrick’s day in the park in Sydney. From Australia to New York City in April Susan will recording and shooting some videos to her new E.P which she is currently working on. Home then to begin her own tour of Ireland for the Summer months, it promises to be an electric and exciting year. Yes, she’s sometimes brash but always beautiful. You should be a SON fan, too. Truly, this SON is rising fast..